Renderings of the senior rental housing complex and the family rental housing development in Kailua-Kona. Construction will be completed at the end of 2107. The Ige administration’s push for more affordable rental housing took a major step forward on Hawai‘i Island with the blessing of Kamakana Villages at Keahuolu in Kailua-Kona last month. 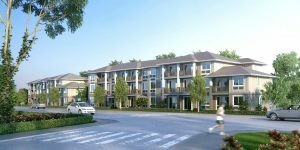 The $52 million project will provide 170 homes for families and seniors in two separate developments. “Kamakana Villages is an important part of my administration’s focus on providing affordable housing options across the state,” said Gov. Ige. The project is a partnership between the Michaels Development Company and the Hawai‘i Housing Finance and Development Corporation. Construction will be completed at the end of 2017, with lease information available in summer 2017. Read more in our November issue. 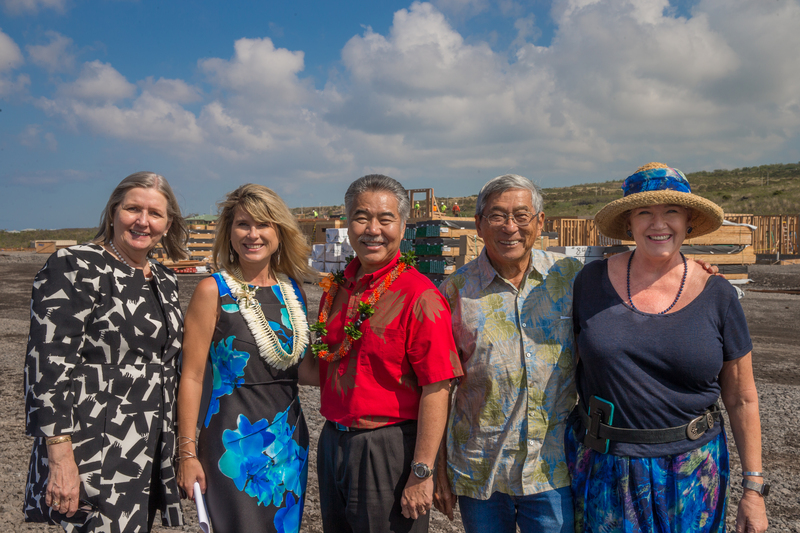 At the blessing for Kamakana Villages: (from left) Karen Seddon and Monika Mordasini Rossen of Michaels Development, Gov. Ige, Hawaii County Mayor-elect Harry Kim and Anni Peterson of Better Tomorrows.